A Newtown-based business has won the Powys Entrepreneurship Award at the Powys Business Awards. 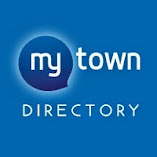 Our editorial coverage is being strengthened with the introduction of the Local Democracy Reporting Service to MyTown Media Ltd. Opportunities to invest in or run three popular pubs and hotels have become available in Mid Wales. Police are urging independent business owners not to respond to threatening scam emails demanding payment of £10,000 in Bitcoin.